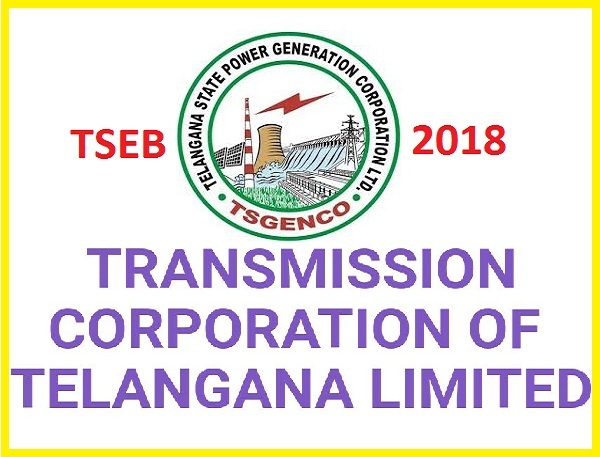 TSTRANSCO Recruitment 2018-2019 Apply Online Application Form (www.tstransco.cgg.gov.in) 1604 Sub-Engineer / Electrical, Assistant Engineer (AE), Electrical, Civil, Telecom, Junior Lineman Posts Transmission Corporation of Telangana Limited Interested and Eligible Candidates are requested to apply on-line through Official last date for submission of Online applications is 20.01.2018. TSTRANSCO 1604 Various Jobs Vacancies 2018, Syllabus, Question Paper, Admit Date Release Date, Exam Date, Result Date etc. the stipulated criteria before Applying Now Online. Junior Lineman: Minimum 18 years and maximum 35 years The age is reckoned as on 01.07.2017. Age Relaxation: The Upper age limit is raised up to 10 years i.e., from 34 to 44 years as per the G.O.Ms.No.190, GA (Ser.A) Dept.Dt:08.08.2017 as adopted vide T.O.O. (Jt. Secy.-Per) Ms.No.127, dt.24.08.2017. TSTRANSCO Vacancy 2018 to fill 62 vacancies for the post of Junior Personnel Officer. The beginning date for TRANSCO Jobs is 11.09.2018.